GLC-T vs GLC-TE vs SFP-GE-T: Which One to Choose? 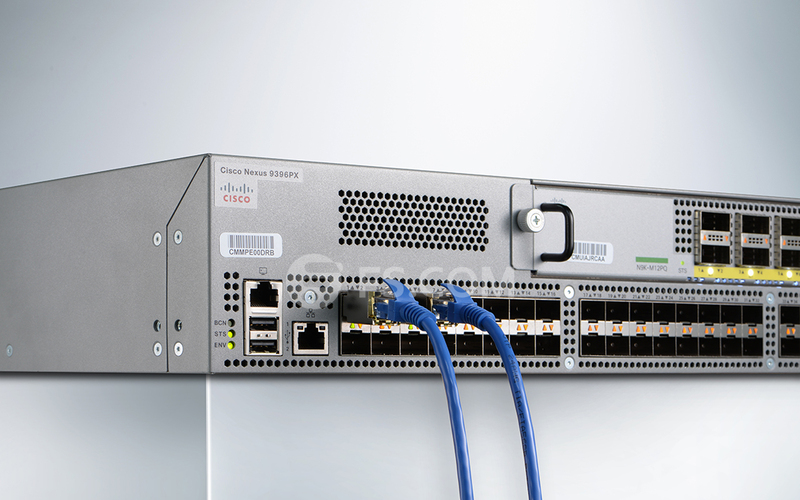 GLC-T, GLC-TE and SFP-GE-T are three Cisco 1000BASE-T SFP types. All these three models SFPs can operate on standard Category 5 unshielded twisted-pair copper cabling of link lengths up to 100 m (328 ft) and support 10/100/1000 auto negotiation and Auto MDI/MDIX. So, what’s the difference between them? 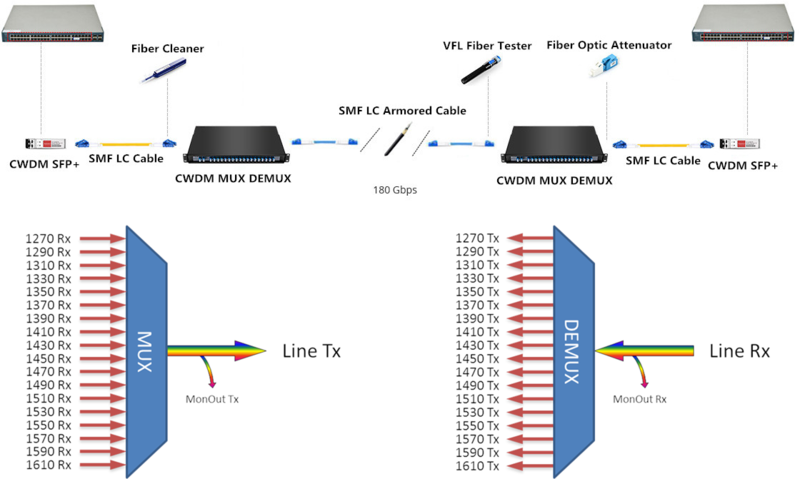 In this article, comparison between Cisco GLC-T vs GLC-TE vs SFP-GE-T will be provided. From the table above, we can see that the difference between GLC-T and GLC-TE is the operating temperature range. Operating temperature range for GLC-T and GLC-TE is respectively commercial temperature range (COM) and Extended temperature range (EXT). The difference between SFP-GE-T and GLC-TE is that the SFP-GE-T has the function of NEBS 3 ESD. Then what does that mean? Let’s read the following passages. NEBS is short for Network Equipment Building System and is a set of standards for building networking equipment which can withstand a variety of environmental stresses. NEBS has three levels: Level 1, Level 2, and Level 3. Level 1 refers to cases where minimum compatibility with the environment is needed. Level 2 applies for limited operability of the product. Finally, NEBS Level 3 (NEBS 3 ESD) certification guarantees the maximum operability of the equipment. It also certifies that the equipment will perform well in harsh environmental conditions and will not interfere with other electronic devices around. NEBS Level 3 certified networking equipment is vital in mission-critical applications. SFP-GE-T with 1000BASE-T NEBS 3 ESD, that is to say, compared to GLC-T or GLC-TE it can take greater stresses with less likelihood of failure, and are therefore a bit more trustworthy in truly mission-critical applications. In terms of Cisco original GLC-T vs GLC-TE vs SFP-GE-T transceivers, GLC-T and SFP-GE-T will be End-of-Sale June 1, 2017 and replaced by the GLC-TE. 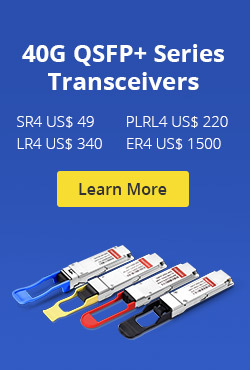 So then you can only buy GLC-TE transceivers from Cisco. If you’re dealing directly with a company like a telecom who specifically requires NEBS compliance, they’ll let you know and you should choose SFP-GE-T. But for most of the networks, GLC-T and GLC-TE transceivers are all you’d need for Gigabit Ethernet, and they cost less as well. 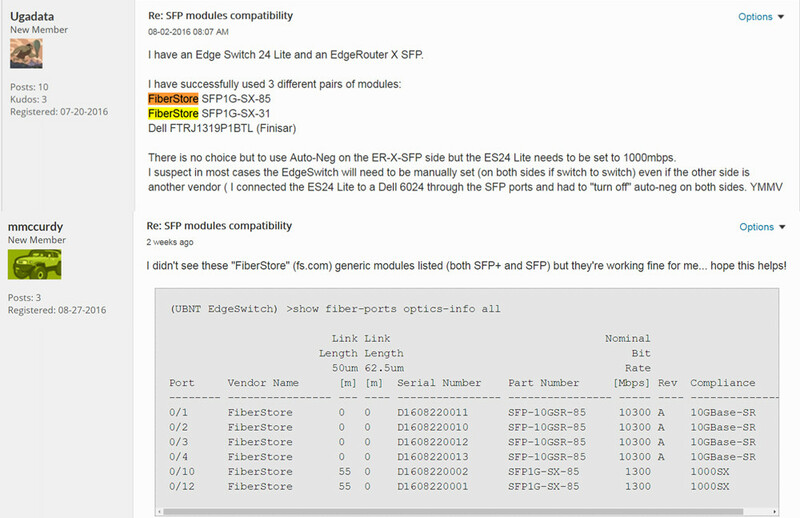 Fiberstore (FS.COM) provides all these three SFP modules. We are manufactured to the exact same standards as Cisco’s own brand, and come with true lifetime warranties. 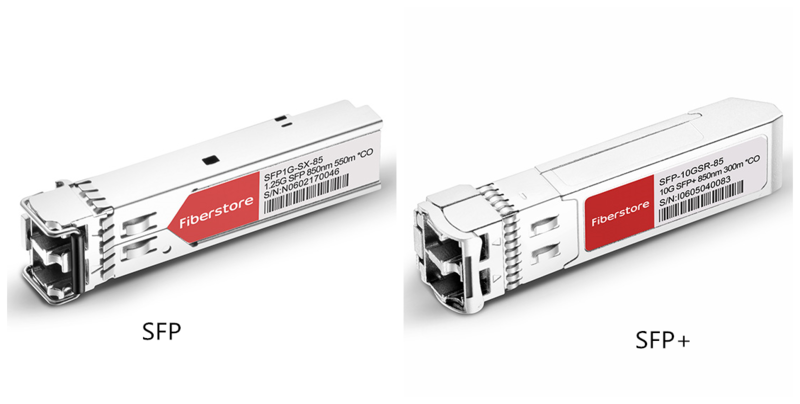 Every SFP module in Fiberstore was tested to ensure 100% compatibility, but only cost a small fraction of name-brand alternatives. This entry was posted in SFP Transceiver and tagged Cisco GLC-T, Cisco SFP+, GLC-T, GLC-TE, SFP-GE-T on October 25, 2016 by Alice.Gui. This entry was posted in Fiber Optic Transceivers, SFP Transceiver, SFP+ Transceiver and tagged 10G, 1G, SFP and SFP+ compatibility, SFP module in SFP+ slot, SFP port, SFP+ copper twinax cable on September 21, 2016 by Alice.Gui. As we know, a SFP module just looks the same as the SFP+ module. 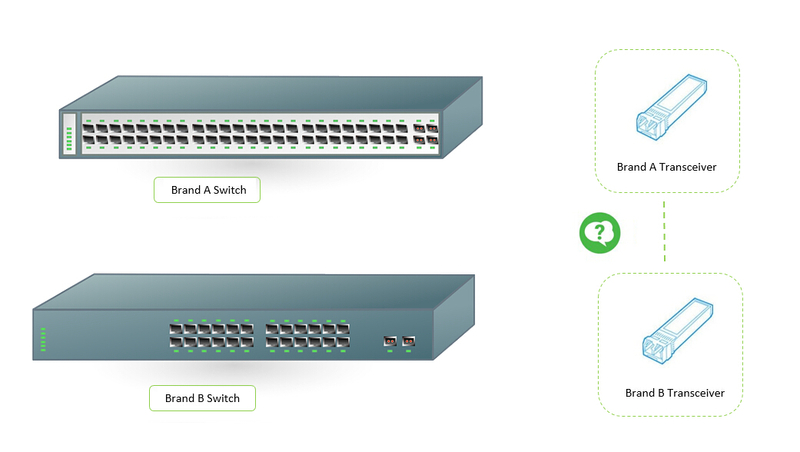 And most switches can both support SFP module and SFP+ module. So, do these two modules really refer to the same one? What’s the difference between SFP vs SFP+? As we’ve explained the difference of SFP vs SFP+. Usually, SFP module plugs into SFP port of the switch and SFP+ module plugs into SFP+ port of the switch. But, sometimes SFP module can also be plugged into SFP+ port. Which SFP or SFP+ module should you choose all depends on your switch types. Fiberstore is a reliable SFP transceiver module manufactures, all SFP module and SFP+ module types are available in FS.COM. Besides, SFP+ cable is also provided. What’s more, the price of SFP module and SFP+ module is lower than many other manufactures. SFP test is strict in FS.COM. 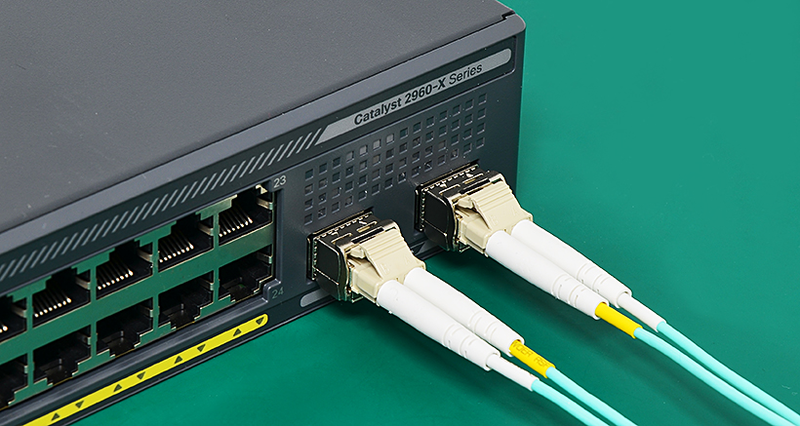 Matching fiber patch cable is also available. This entry was posted in Fiber Optic Transceivers, SFP Transceiver, SFP+ Transceiver and tagged SFP definition, SFP module types, SFP port, SFP vs SFP+, SFP+ cable, SFP+ module in SFP port on September 6, 2016 by Alice.Gui. As we know, a common SFP transceiver is generally with two ports, one is TX port which is used to transmit the signal, and the other one is RX port which is used to receive signals. Unlike common SFP transceiver, BiDi SFP transceiver is only with one port which uses an integral WDM coupler to transmit and receive signals over a single strand fiber. In fact, the compact SFP is a 2-channel BiDi SFP, which integrates two BiDi SFPs in one SFP module. Therefore, a compact SFP is also with two ports as the common SFP. All SFP transceivers must be used in pairs. For common SFPs, we should connect the two SFPs which have the same wavelength together. For example, we use a 850nm SFP at one end, then we must use a 850nm SFP on the other end (shown in the figure below). For BiDi SFP, since it transmits and receives signals with different wavelengths, we should connect the two BiDi SFPs which have the opposite wavelength together. For example, we use a 1310nm-TX/1490nm-RX BiDi SFP at one end, then we must use a 1490nm-TX/1310nm-RX BiDi SFP on the other end (shown in the figure below). The compact SFP (GLC-2BX-D) usually uses 1490nm to transmit signal and the 1310nm to receive signal. 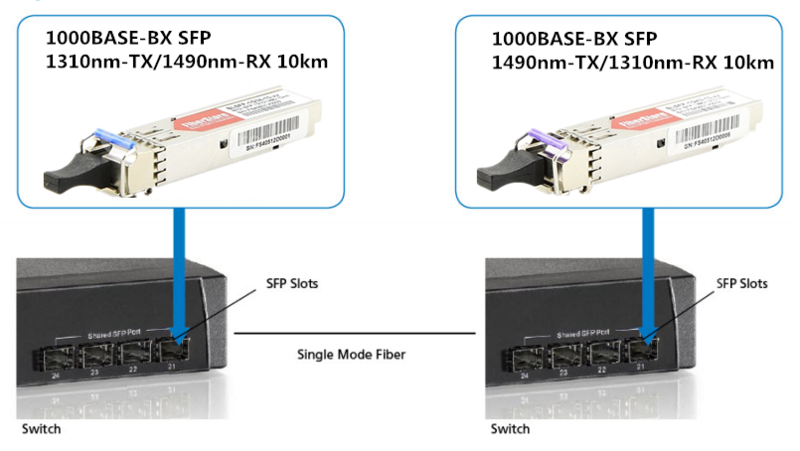 Therefore, the compact SFP is always connected to two 1310nm-TX/1490nm-RX BiDi SFP over two single-mode fibers (shown in the figure below). At present, the BiDi SFP is mostly used in FTTx deployment P2P (point-to-point) connection. A FTTH/FTTB active Ethernet network consists of a central office (CO) connecting to the customer premises equipment (CPE). Active Ethernet networks use a P2P architecture in which each end customer is connected to the CO on a dedicated fiber. 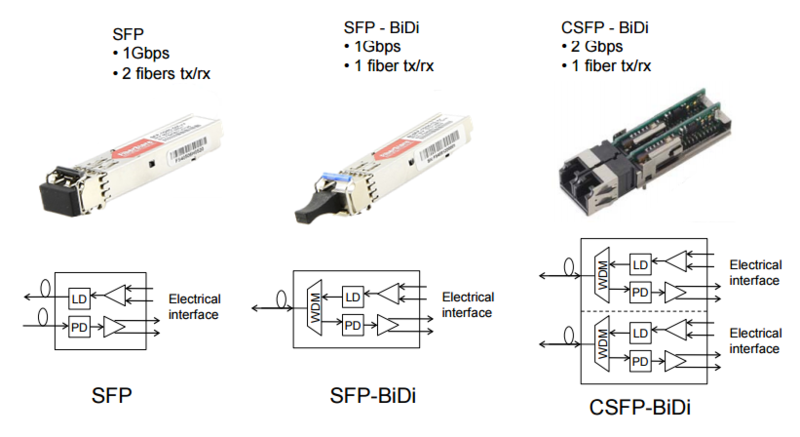 BiDi SFP allows a bi-directional communication on a single fiber by using wavelength multiplexing (WDM), which makes CO and CPE connection more simple. Compact SFP enormously increases CO port density by combining two single fiber transceivers into one SFP form factor. In addition, the compact SFP will significantly reduce the overall power consumption at the CO side. FS.COM provides a variety of BiDi SFPs. They can support different data rate and support transmission distance up to max 120 km that can meet the demands of today’s fiber services for carriers and enterprises. 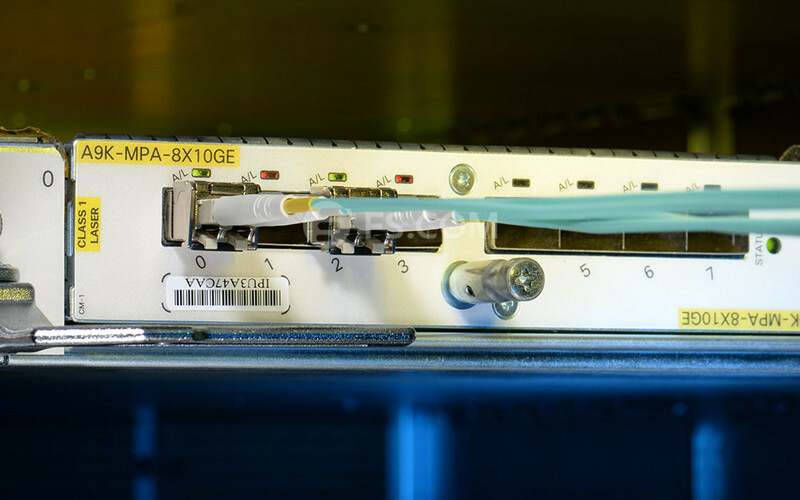 Related Article: Can I Connect Optical Transceivers of Different Brand? This entry was posted in SFP Transceiver and tagged BiDi SFP, central office, Compact SFP, customer premises equipment, FTTx, GLC-2BX-D, sfp transceiver on March 24, 2016 by Alice.Gui. 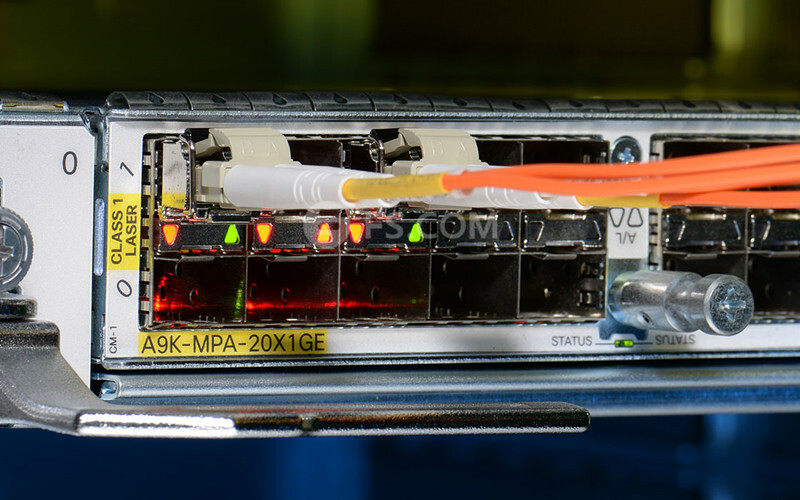 We usually see fiber optic transceiver with descriptions like “10/100/1000 copper SFP” shown in the picture below. Then what does “10/100/1000” mean? In fact, it refers to SFP modules that support 10/100/1000 auto-negotiation. With the function of auto-negotiation, SFP can operate on 10 Mbps, 100 Mbps, and 1000 Mbps. Some knowledge of SFP auto-negotiation will be given in this article. Today a number of technologies, such as 10Base-T, 100Base-T, and 1000Base-T, use the same RJ-45 connector, creating the potential for connecting electrically incompatible components together and causing network disruption. To eliminate the possibility of dissimilar technologies interfering with each other, the Institute of Electrical and Electronics Engineers (IEEE) developed a protocol known as auto-negotiation. Auto-negotiation allows devices to perform automatic configuration to achieve the best possible mode of operation over a link. Devices with this feature will broadcast their speed (10 Mbps, 100 Mbps, and 1000 Mbps) and duplex (half/full) capabilities to other devices and negotiate the best between two devices. There are two types of auto-negotiation that operate simultaneously within the SFP module. One is the 1000Base-T auto-negotiation, the other is 1000BASE-X auto-negotiation. The difference between them is that 1000BASE-T auto-negotiation is conducted over the Cat 5 cable between the two 1000BASE-T devices while 1000BASE-X auto-negotiation is typically conducted between two host systems over fiber. 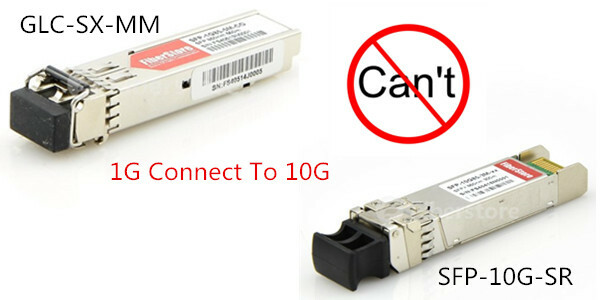 Usually, Gigabit SFP transceivers use auto-negotiation to advertise the following modes of operation: 1000Base-T in full or half duplex, 100Base-TX in full or half duplex, and 10Base-T in full or half duplex. Case1: A SFP is inserted into a switch with no copper cable. Regardless of whether the MAC has 1000Base-X auto-negotiation turned on or off, 1000Base-X auto-negotiation will not complete. Because 1000Base-X auto-negotiation will never complete before 1000Base-T link is established. Case2: After SFP is inserted into a switch w/ 1000Base-X auto-negotiation, copper cable is inserted. SFP will store the 1000Base-X abilities advertisements from the MAC. 1000Base-T auto-negotiation will be restarted using abilities advertisements from the MAC. After 1000Base-T link is completed, SFP will send 1000Base-X abilities advertisements and acknowledgement codewords to the MAC. 1000Base-X link will then be established. Case3: After SFP is inserted into a switch w/ no 1000Base-X auto-negotiation, copper cable is inserted. SFP will detect that only idles are received from the MAC. 1000Base-T link will be established based on abilities set by hardware strap options on the PHY. After 1000Base-T link is established, the SFP will wait for 200 minutes and go into bypass mode. 1000Base-X link will then be established. Case4: Both 1000Base-T and 1000Base-X link has been established. Copper cable is then unplugged. When the copper cable is unplugged, 1000Base-T link will be broken. This will restart auto-negotiation both for 1000Base-X and 1000Base-T.
Case5: Copper cable is first plugged into the SFP, then SFP with cable is inserted into switch. This case is the same case 2 and 3. If the SFP is powered up with copper cable already plugged in, it will go through the same auto-negotiation process. After reading this article, you may know more about SFP auto-negotiation. Fiberstore have a lot of 10/100/1000BASE-T auto-negotiation 100m RJ45 copper SFP fiber optic transceivers in stock with high quality and low price. For more information, please visit fs.com. This entry was posted in SFP Transceiver and tagged 1000Base-T, 1000Base-X, 100Base-T, 10Base-T, auto-negotiation, SFP, SFP auto-negotiation on September 29, 2015 by Alice.Gui. 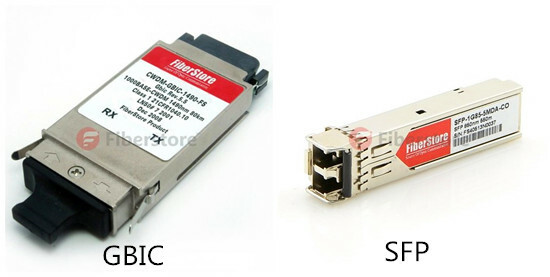 GBIC vs SFP—When to Choose What? 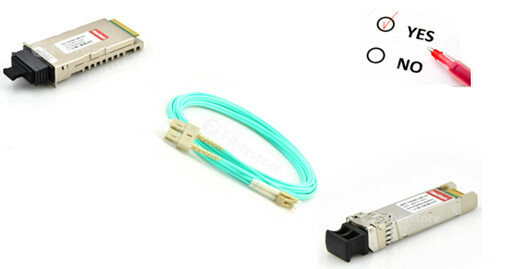 GBIC and SFP are both a kind of hot-pluggable optical transceiver which is mainly used to convert between the optical signal and electrical signal. GBIC stands for Gigabit Interface Converter. SFP is short for Small Form-factor Pluggable. Usually, SFP is considered as an upgraded version of GBIC module. However, GBIC and SFP are equal in performance. The only major difference between them is their size. SFP module is much smaller than GBIC module. For this reason, the SFP is also called mini GBIC in most cases. These years, due to the small size of SFP, GBIC module is being replaced by SFP. Why is this happening? In fact, the most common reason is that the big size of GBIC module was not feasible to provide more number of interfaces on a line card or a switch since it occupies more space. In order to resolve this issue people came up with SFPs which were smaller in size hence you can have more interfaces on the same line card or switch compared to GBICs. 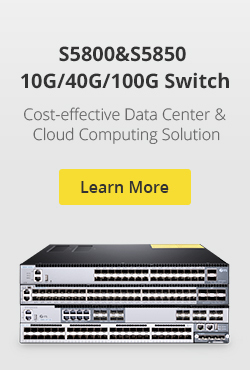 Let’s take an example, have you ever heard of a 48 port GBIC line card on 6500 switch. The answer is no, because it’s not feasible to have 48 big GBIC interfaces on the form factor of the line card. But a 48 port SFP line card exists. Knowing the differences between these two modules, then which one should you choose? In general, it actually depends on the line card or the switch you have. Usually, the line cards and switches comes with empty GBIC or SFP slots where you need to purchase the GBIC module or SFP modules respectively and insert in those empty slot. However, if you already have a switch or line card which has GBIC slots you have to use GBICs, simply because SFPs won’t fit in and vice versa. Another case where you don’t have a switch or line card and want to make a decision whether to use a GBIC or SFP will actually depend on the number of interfaces required and availability of the switches and line cards specific model. For example, if you want two fiber interfaces on a line card on 6500 switch, you won’t go for a 48 port SFP line card, instead you’ll use a 2 port GBIC line card. If you need some 24 fiber interfaces you won’t use a 16 (or 18 not sure) port GBIC line card, you’ll use a 48 port SFP line card. After reading this article, you may get a clear understanding of whether to use SFP module or GBIC module. 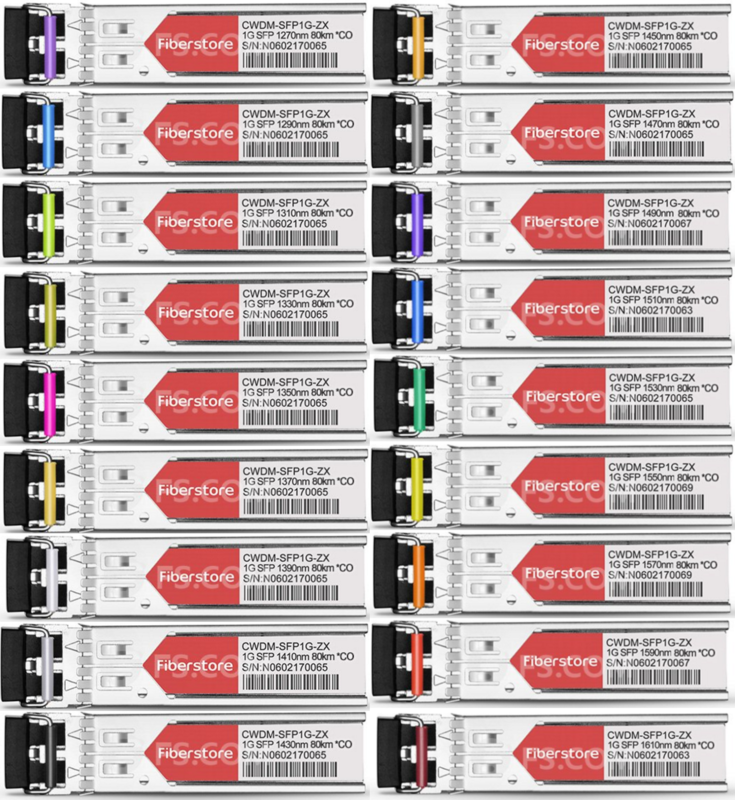 Fiberstore provides all kinds of SFP modules, such as 1000BASE-T SFP, 1000BASE SX SFP, 1000BASE LX SFP etc. If you need to buy GBIC modules, I also recommend you to visit Fiberstore. All their GBIC modules come with a lifetime advance replacement warranty and are 100% functionally tested. This entry was posted in SFP Transceiver and tagged 1000BASE LX SFP, 1000BASE-SX SFP, 1000BASE-T SFP, GBIC, GBIC module, gbic sfp, gbic vs sfp, SFP, sfp gbic, sfp modules on August 4, 2015 by Alice.Gui.